Uranyl Formate | Polysciences, Inc.
Photo: Negative stain electron microscopy of the integrin a5b1 headpiece with and without a bound fibronectin (Fn) fragment containing Fn domains 7 to 10 (Fn9-10). 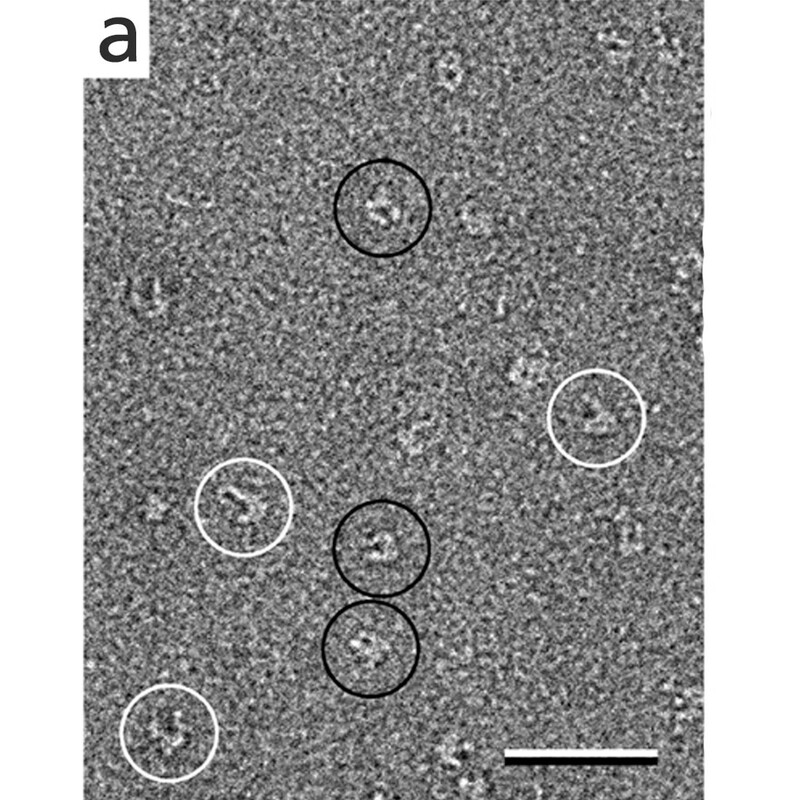 a: Negative stain electron microscopy reveals that the ·5‚1 headpiece adopts two conformations, namely a closed (black circles) and an open conformation (white circles). Micrographs courtesy of Tom Walz, Harvard Medical School. Polysciences, Inc. is pleased to offer uranyl formate, as an advancement in negative EM staining. The uranyl formate is made from depleted uranium.The fine grain structure, fast biomedical tissue fixation properties and stability of this material make it unique for many imaging protocols.